Indonesia will hold its first synchronized presidential and parliamentary elections on 17 April 2019. As in 2014, Joko Widodo and Prabowo Subianto will be the only two candidates for the presidency, while a total of 16 parties will struggle for the 560 seats in the national parliament. In his presentation, Dr Patrick Ziegenhain, will not only give insights on the chances and platforms of the respective candidates and political parties, but also analyze the electoral system from a comparative institutionalist perspective. Based on his recently published book, Institutional Engineering and Political Accountability in Indonesia, Thailand, and the Philippines (Singapore: ISEAS, 2015), he will highlight institutional strengths and weaknesses of the unique Indonesian political system. 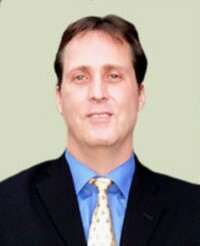 Dr Patrick Ziegenhain, from Germany, is currently Visiting Professor at the Department of Business Administration at Atma Jaya University in Jakarta, Indonesia. Previously, he was Visiting Professor at the Asia-Europe Institute, University of Malaya in Kuala Lumpur, Malaysia; Interim Professor at the Department of Southeast Asian Studies at Goethe-University Frankfurt, Germany (2015); Visiting Professor at De la Salle University, Manila, Philippines in 2014; and Assistant Professor (Akademischer Rat) at the Department of Political Science, University of Trier, Germany (2007-2014). Patrick Ziegenhain holds a PhD in Political Science (2005) from Albert-Ludwigs-University in Freiburg/ Germany.